I should probably be posting salad recipes right after Halloween, but these cookies really need to be shared! And of course there is no such thing as too much chocolate is there? These are our latest house favourite. So rich and intense! The good thing is, they are rich enough that you only need one or two to feel sated. The key to success is high quality chocolate. Heat chocolate, butter and coffee in a saucepan over a low heat until melted and smooth. Use a metal spoon to stir. Remove from heat and leave to cool. Beat sugar and eggs in a large mixing bowl on high speed until thick and pale. 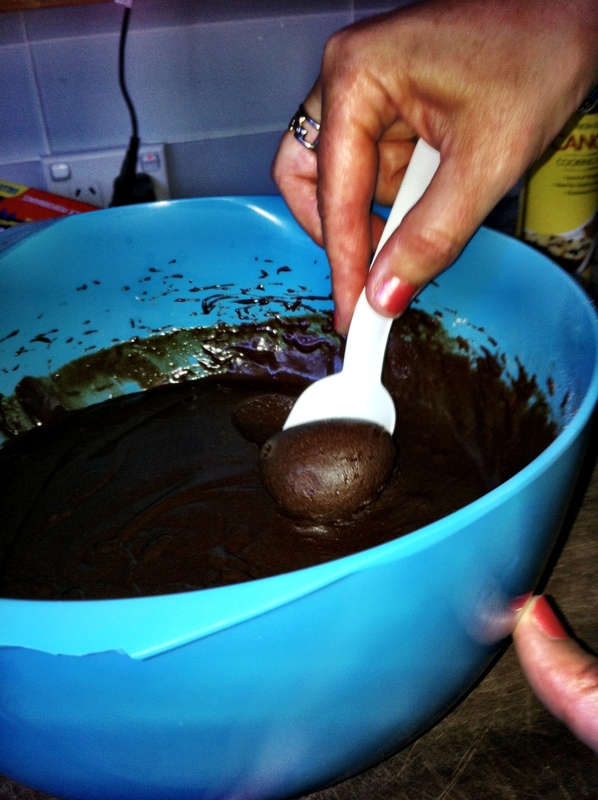 Add chocolate mixture and beat until combined. Sift dry ingredients over the chocolate mixture and beat until combined. Stir in chocolate chips. Cover dough and refrigerate for at least 20 minutes. The dough is very soft so it is important that you keep the dough refridgerated between batches. Preheat oven to 180C. Line 2 oven trays with baking paper. Drop heaped teaspoons of mixture onto prepared trays, allowing room for spreading. 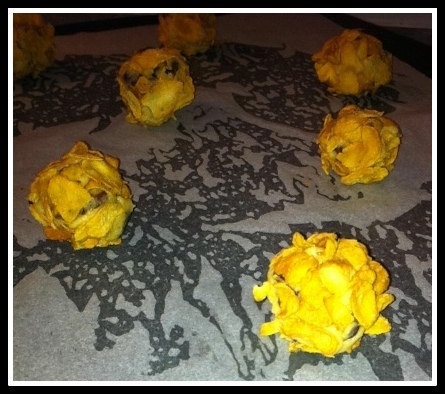 Bake 1 tray at a time for 10-12 minutes or until cookie tops are set. Stand on trays for 5 minutes before transferring to a wire rack to complete cooling. When I was little my mom used to make me brownies for my birthday. This might not sound like a big deal, but for a long time this was the one day in the year that white flour, white sugar and chocolate made an appearance in our kitchen. Those brownies gave my birthdays some moments of pure bliss! My sister, Salsa, has a big birthday coming up and she would love some brownies, but she doesn’t eat cane sugar. So I have been doing some homework in preparation. I discovered a number of brownie recipes using coconut sugar, which seems to be an acceptable sugar for Salsa. This recipe has been adapted from: http://positiveponderings.blogspot.com.au/2012/04/naturally-sweetened-chewy-brownies-with.html (this blog is worth a look, it’s got some good stuff!). The brownies were sublime! With a bunch of boys in the house getting ready for soccer training, the entire pan was consumed within minutes. Will definitely double the recipe next time. Line 8 x 8 baking pan with baking paper. Preheat oven to 175C. In a saucepan over low heat, melt butter and sugar together, stirring constantly. Add honey and cocoa powder and keep stirring until mixture is smooth and slightly shiny. Set aside to cool. Sift flour and baking powder into large bowl. Whisk eggs and vanilla until slightly frothy, and stir into cocoa mixture. Pour into flour bowl and stir until well mixed. Pour into pan. Cook for 25 minutes or until skewer inserted into the centre comes out clean. 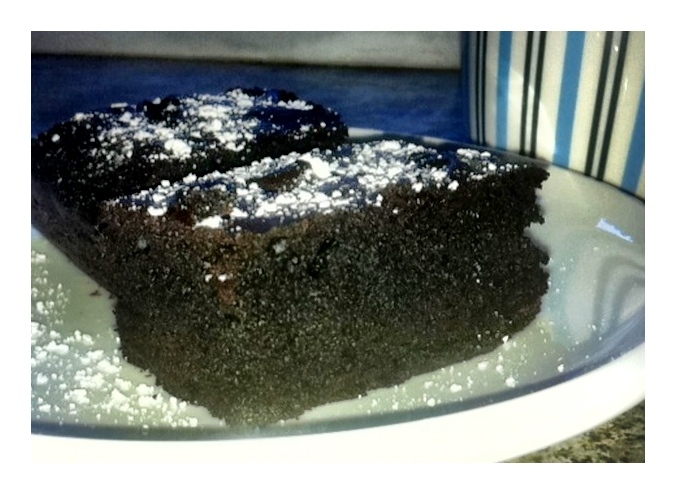 Moist and dark and chocolatey! YUM! When I enrolled my kids in school it never occured to me that I had just embarked on a twelve year journey into the world of fund raising. Our school P&C funds a wide range of resources, services and facilities for the school. What we do requires large sums of money, and enormous amounts of effort to raise it. Our school’s next fundraising event is a trivia night. This is a big one the fund raising calendar: there’s always a lot of people, and they always raise a lot of money. It is also a parents only event, with food and alcohol served: the perfect recipe to encourage everyone to dig deep and spend. One of the key money spinners is the silent auction, and the key to the success of the auction is having a decent range of items available to bid for. With this in mind, a friend of mine has come up with the brilliant idea that we should team up and offer up a catering service for a child’s birthday party. Well I guess we’ll find out how brilliant the idea is after the event! Since agreeing to this plan I have been experimenting a bit with some ideas. 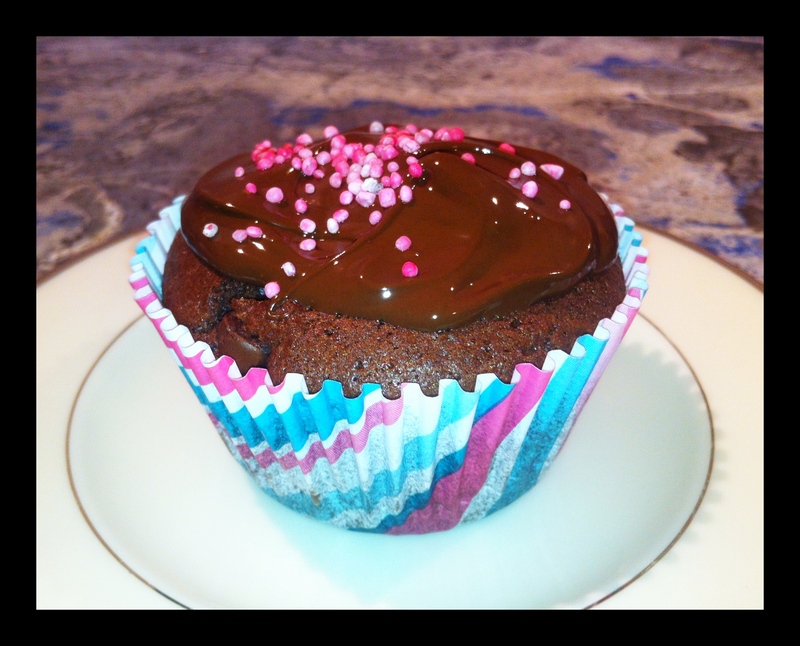 I’ve started with the idea that for most of the kids I know there is nothing like mixing chocolate with more chocolate. 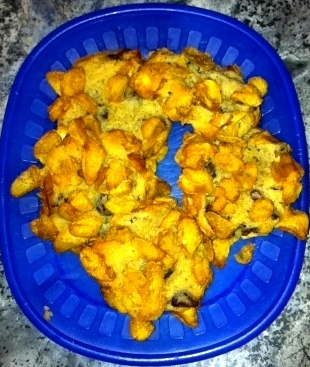 These muffins are adapted from one of my grandmothers recipes. Grease 12 hole muffin pan (1/3 c capacity) or line with muffin cups. Preheat oven to 180C. 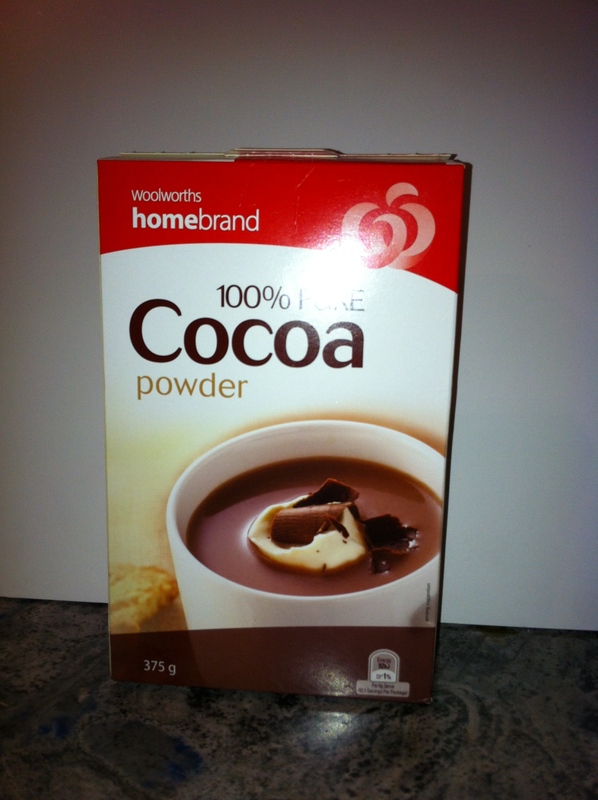 Place flour, cocoa, sugar and 100g choc bits in large bowl and mix together. Separately whisk milk, butter and eggs together. Pour into the flour mixture and stir with large metal spoon until just combined. Spoon into muffin tray. Bake for about 20 minutes or until skewer inserted in to the middle of a muffin comes out clean. 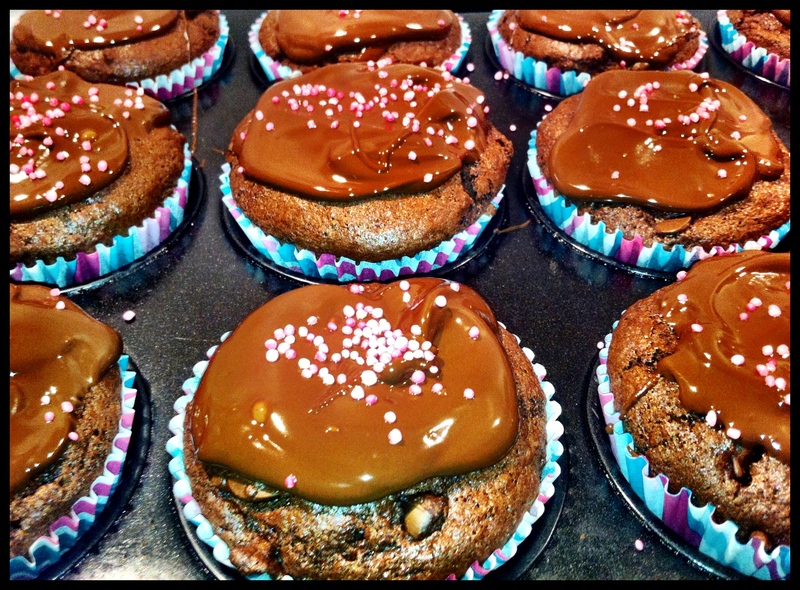 Once muffins are cooked, melt remaining chocolate and spread over muffins. Decorate as desired. With school starting back yesterday the sprogs were very grumpy indeed. It’s not that they don’t like school. It’s just that they like not being at school so much more. These holidays they scored an extra week off due to a visit from some of our American family, and I find that the longer the time off, the harder it is to get them back into the school head space. It starts with begging to stay down south, “just one more night, just one…. pleeeez? ?” When that doesn’t work, the ‘headaches’ and coughing begin. Poor things, they strain themselves so much to sound convincing that they actually do end up with sore throats. And so it goes on… It is really an impressive effort. But… after lengthy discussion about the necessity of going, and the promise of a scrumptious chocolate treat for recess, they give in and agree to feel better by morning and get up early enough to be dragged off to school. 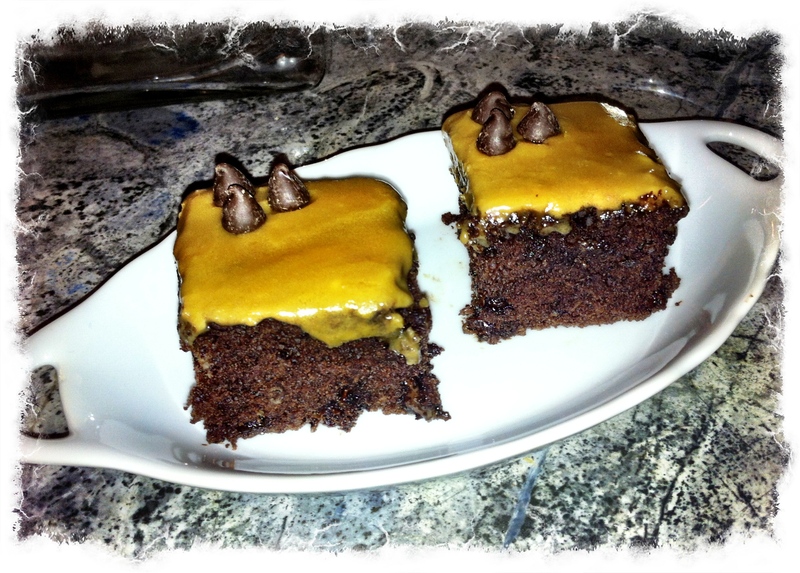 The treat of choice, these chocolate squares, are very rich, loaded with choc bits, and topped with a butterscotch icing. Very decadent and a rare treat. Preheat oven to 180C. Line a 33 x 23 cm baking pan. Melt butter and cocoa in saucepan over medium heat. Add water and bring to boil. Remove from heat and beat in oats, sugars, eggs, brandy and vanilla. Add flour, baking powder and salt in 3 batches, and beat on medium til fully blended with each batch. Stir in choc bits. Pour into baking pan and cook for 15-20 minutes or until a skewer inserted into the middle comes out clean. Cool the cake before icing. The squares are best eaten the next day but are also nice when iced still slightly warm, for a softer lighter square. Melt butter in saucepan and stir in brown sugar. Bring to boil and stir constantly for 2 minutes. Remove from heat and stir in milk. Cool slightly. Gradually stir in sifted icing sugar. Continue to stir as mixture cools further, until it thickens to a spreadable consistency. Decorate as desired. 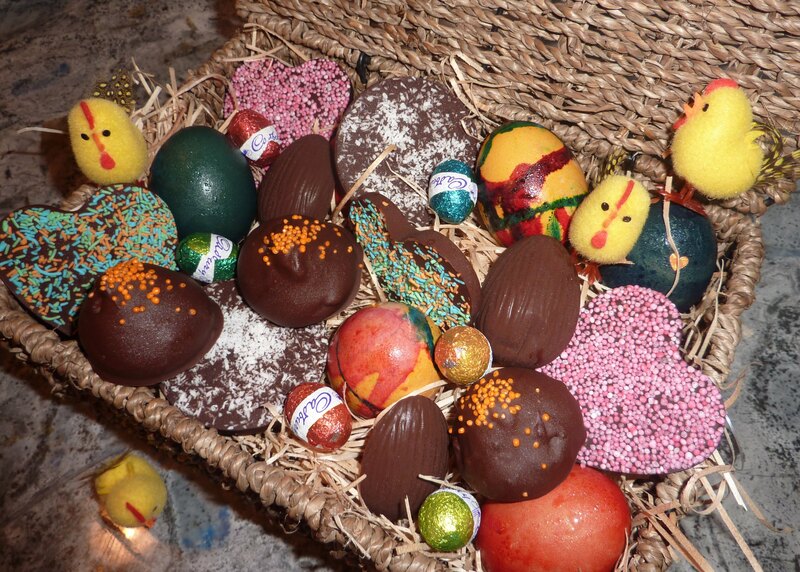 Easter Sunday means chocolate. I know it means lots of other very important things to many people, but it also means chocolate! My sprogs have been panting in drooling anticipation for weeks now. With any trip to a shop that sells food I have been regaled with advice about acceptable chocolate treats. I now understand that a large bunny is critical, and an abundance of other chocolate treats is also required. 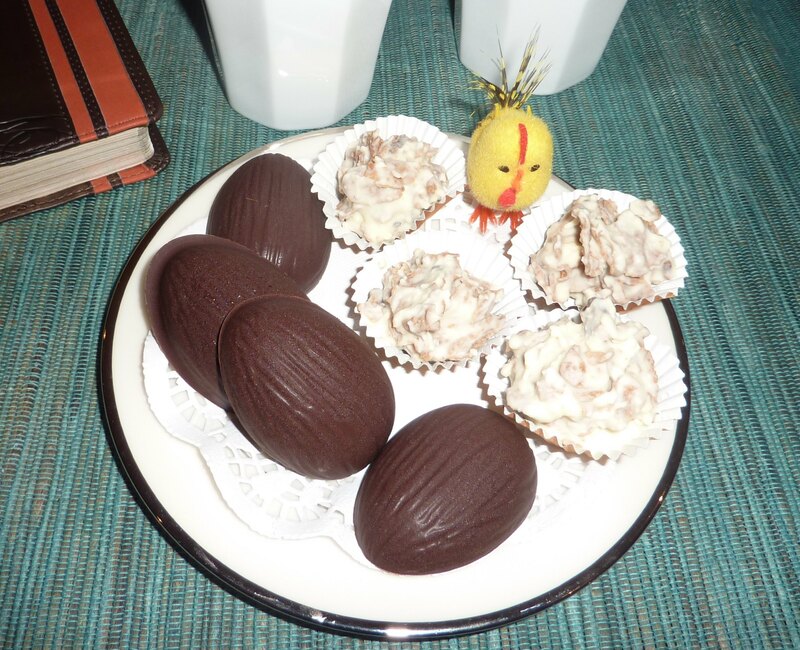 So yes to the bunny chocolate, but I like to give them something I create as well – and whatever I do has to be quick and easy because there is so much on over Easter that I don’t have a lot of time. So the first thing I do is take a trip to Essential Ingredient – one of my favourite shops – for some a big chunk of dark cooking chocolate. Starting with good quality chocolate is the key to making the simple options work. I always get dark chocolate, and a smaller amount of white. It also helps to have some moulds to create some fun shapes with your chocolate. 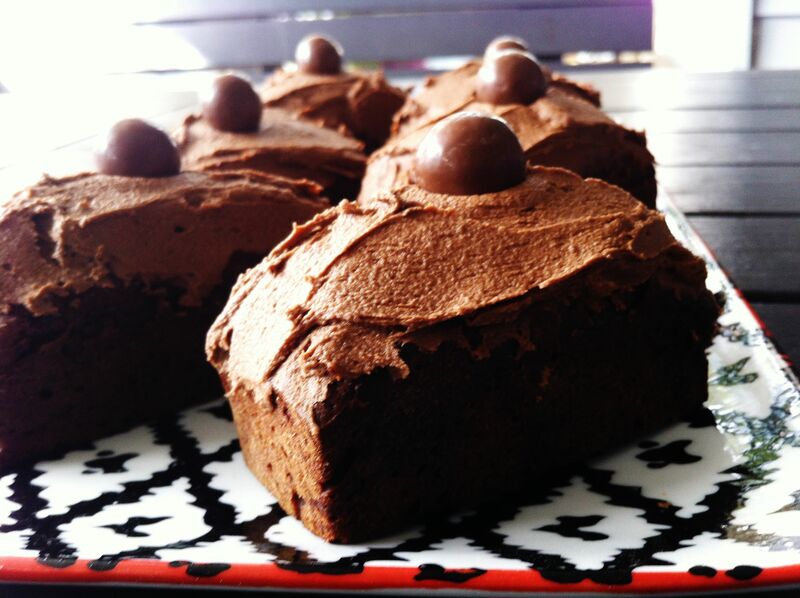 So here are some ideas for some super easy chocolates that you can make in minutes. To melt chocolate I use the microwave because it is very easy. Chop the chocolate into smallish chunks and heat for 1 minute a time on medium. I think a glass container works best, and you must make sure the container is completely dry. After each minute in the microwave mix the chocolate. Once fully melted add 2 drops of peppermint oil and mix well. Pour into moulds and refridgerate until set. 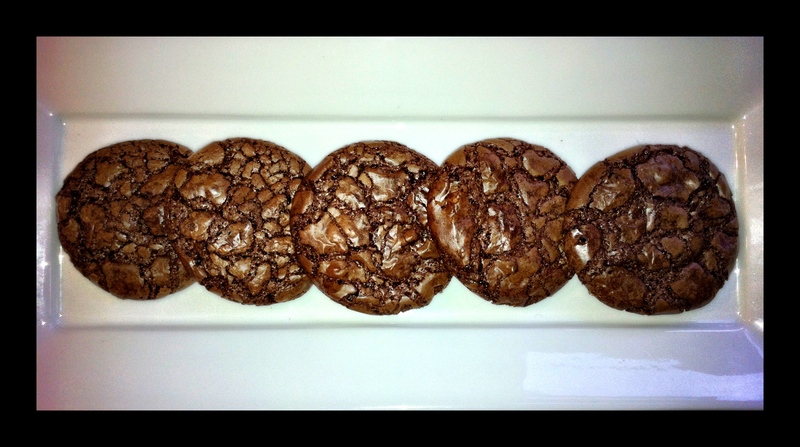 Melt chocolate as above, but use medium-low temperature if you have that setting. White chocolate will curdle or burn more easily than dark so you need to be careful. Once melted, add other ingredients and mix well. Form into small teaspoon sized balls and set into small patty cups. Set in refridgerator. Melt chocolate. Pour into heart shaped moulds, cover generously with sprinkles. Set in refridgerator. Melt chocolate. Mix well with coconut. Pour into moulds. Sprinkle with additional coconut. Set in refridgerator. Melt chocolate. 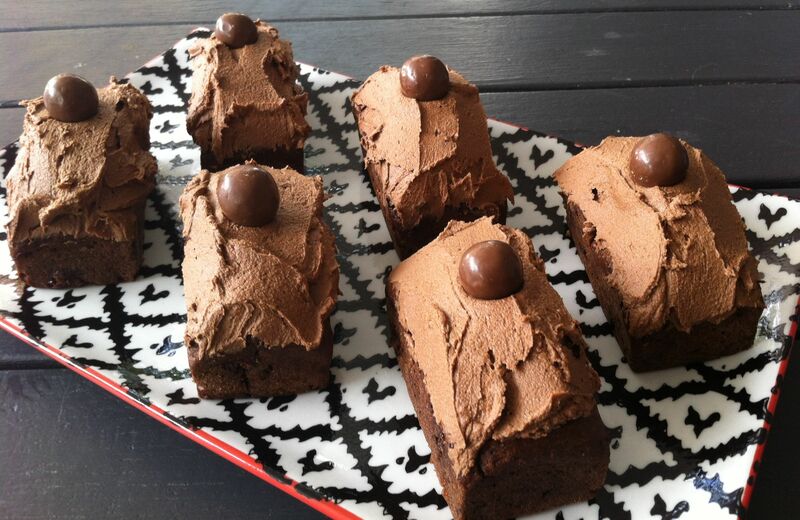 Coat marshmallows with chocolate and place on baking paper lined tray. Decorate with sprinkles. Set in refridgerator. A big basket with a bit of everything displayed works wonders with the sprogs! Happy Easter!